Experience absolute presence as images seem to float in mid-air, and you forget the existence of the screen. Be totally immersed in the world that is portrayed, as images envelop you. Beyond 2K is a new world of moving experiences that only 4K can deliver. 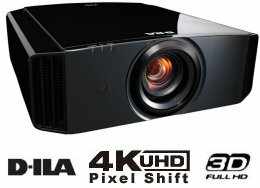 JVC's DLA-X5900 e-shift 5 technology is able to reproduce the finest nuances and unique tone of every visual work, enabling you to enjoy a 4K-resolution* image with extreme realism and presence in your home theatre environment. The newly adopted 265W high-output lamp in the new D-ILA projectors delivers a brightness of 1,800 lm. Smoother and more powerful pictures can be achieved through the combination of the new lamp and JVC’s original D-ILA device with an even narrower gap between pixels for efficient use of light. Powerful, vivid and highly detailed 4K high-definition video can be enjoyed even in environments where it's hard to block out light, such as living rooms, that are not ideally suited for viewing high-definition videos. The combination of JVC’s original D-ILA device and an optical engine equipped with a wire grid that complements the new high-output lamp results in high native contrast ratio of 40,000:1. Input signals are analysed with an original algorithm that is combined with Intelligent Lens Aperture, which automatically controls the black level of the image to achieve an ultimate dynamic contrast of 400,000:1. 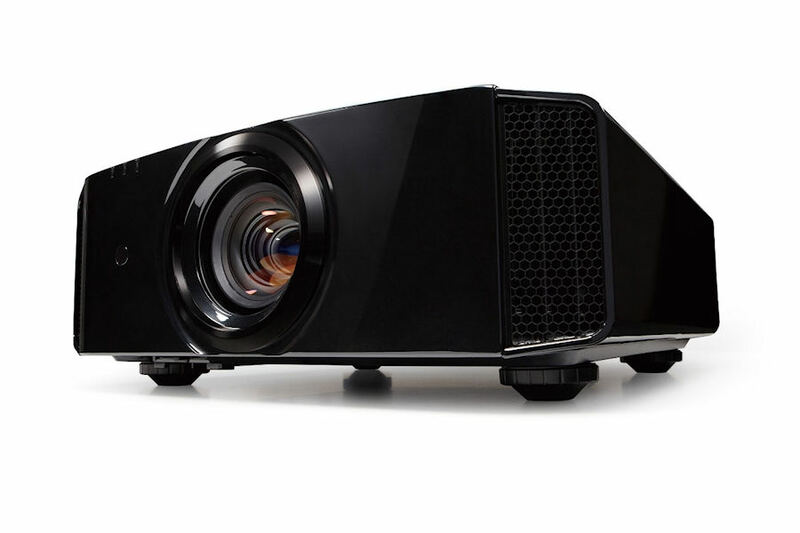 The DLA-x5900 projectors are capable of receiving full spec 4K signals including 4K60P 4:4:4, 4K60P 4:2:2/36-bit and 4K24P 4:4:4/36-bit as the units comply with the latest HDMI standard with 18 Gbps transmission band width compatibility for reproducing more vivid colours with more precise gradation. 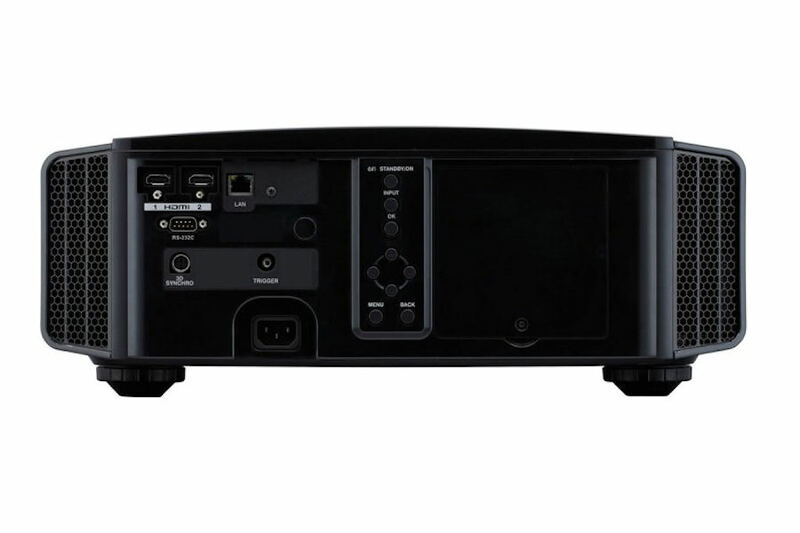 In order to be compatible with copyright-protected content such as OTT video services and the next-generation Blu-ray disc, the projectors comply with the latest HDMI standard and HDCP 2.2. With the two HDMI terminals, up to 2 copyright-protection-compatible HDMI devices can be directly connected. JVC’s e-shift technology shifts sub-frames by 0.5 pixels both vertically and horizontally to achieve 4 times the pixel density of the original content. The latest e-shift 5 Technology is capable of inputting full-spec 4K video signals including 4K60P 4:4:4 thanks to the optimised engine and the newly adopted high power lamp. These improvements result in an even higher definition picture with more precision. JVC’s original high-performance image processing technology, Multiple Pixel Control, has been improved to match the trend towards higher resolution. Through adoption of a new analysis algorithm, the MPC is now capable of more accurate diagonal detection between frames for both full HD and full 4K resolution signals, delivering a thoroughly immersive high-definition 4K image. Further improvement has been applied to JVC’s original Clear Motion Drive. It now is compatible with 4K60P 4:4:4 signals for reproducing moving images without ghosting or afterimage issues. In addition to the improved Clear Motion Drive, the new D-ILA projectors are equipped with originally developed Motion Enhance technology. By optimally controlling the driving performance of D-ILA devices by image characteristics, residual images and blurring that are often found in fast-moving images are reduced. JVC’s original Clear Motion Drive and Motion Enhance technologies will help to reproduce a variety of crisp and smooth moving images. 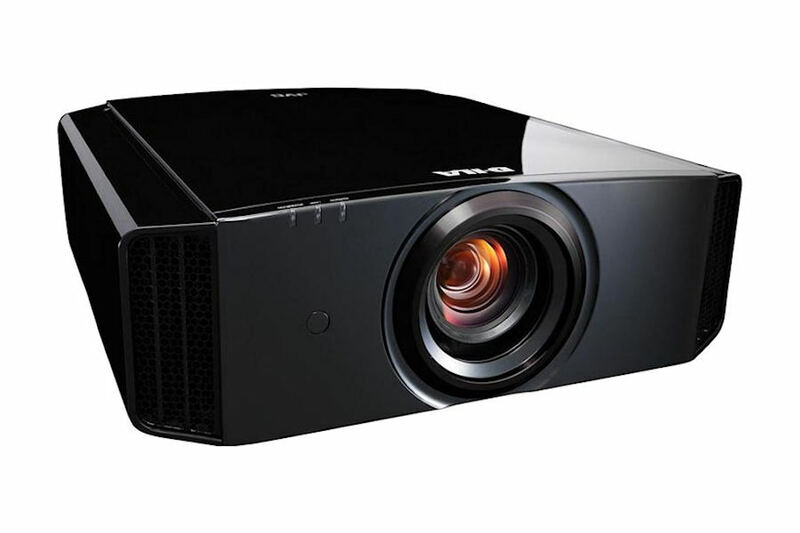 The exceptional picture quality of JVC DLA-X5900 projectors is achieved by the precision technology behind the company's original D-ILA devices. The latest device, which has an even narrower gap between pixels and is planarised, achieves brighter images rich with contrast. The device is optimally designed to complement ultra-high 4K resolution for precision image expression with virtually no screen-door effect. Wider signal range can be detected within a frame thanks to a 10-fold increase in image component detection range from a conventional 6 x 6 pixels to 21 x 21 pixels. This improvement helps to detect even minute details to achieve more natural and realistic video reproduction. Detection-range segmentation has been improved from a conventional 2 bands* to 8 bands to perform high-precision filtering. This helps to achieve highly detailed image reproduction for a broader range of bandwidths. Pixel Analyser is an analysis screen that allows the user to achieve high-definition video that matches the individual characteristics of the image. Video signals pass through a multi-band filter for analysis and are then colour-separated by frequency bands, which can be viewed on the screen. User-preferred, effective results can be achieved by selecting parameters that match the image. Additionally, new direct buttons on the remote controller enable you to see the effective adjustment area easily. When using the MPC adjustment and color management, you can easily check the image before and after adjustments by pushing the "HIDE" button on the remote controller. Lamps can blow, if you need your projector working and can't afford down time, you may need to keep a spare lamp. The replacement projector lamp for the JVC DLA-X5900be is the PK-L2615U.